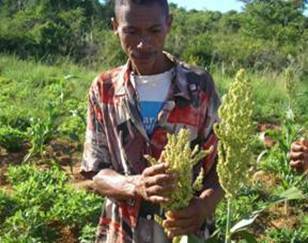 Project "APEMBA SOA" has built on and extended the success of ALT’s Drought Mitigation Programme (DMP) to provide sorghum seed and trainings for 1280 families to improve their food harvests and nutrition. 1654 tons of sorghum has been produced by local farmers and stocks of drought resistant sorghum have been increased. The project is being further extended by Andry Lalana Tohana (ALT Madagascar) into other areas of the south.